Sergio Joaquin Mendoza, a 27-year-old Santa Ana man, was sentenced to nine years in prison on Friday, after kidnapped his girlfriend, carved his name into her chest with a razor blade and was convicted of multiple felony counts including criminal threats, false imprisonment and domestic battery, according to the O.C. Register. Sergio Joaquin Mendoza, a 27-year-old man was convicted Thursday of carving his name on his girlfriend’s chest with a razor blade and several other attacks in Santa Ana two years ago, according to the O.C. Register. 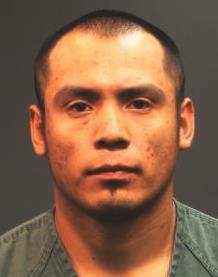 SANTA ANA – A man was arraigned today for kidnapping and threatening a woman that he had a romantic relationship with after carving his name on her chest. Sergio Joaquin Mendoza, 39, Santa Ana, is charged with one felony count of kidnapping, one felony count of criminal threats, two felony counts of domestic battery with corporal injury, and a sentencing enhancement for the personal use of a deadly weapon. At the time of the crime Mendoza had a romantic relationship Jane Doe. If convicted he faces a maximum sentence of 11 years and eight months in state prison. He is being held on $100,000 bail and is scheduled for a pre-trial hearing on April 8, 2015, at 8:30 a.m. in Department C-55, Central Justice Center, Santa Ana.